Screening. The popular Netflix series Dear White People depicts a diverse group of students navigating various forms of discrimination at a predominantly white Ivy League college. Episodes 1.1 and 1.5 are presented here. Facilitators: James Reese, Associate Dean for International Student Programs; Rachel Chappell ’18. Open dress rehearsal. This year’s Sankofa production has a sci-fi inspired theme about the journey of the black individual. We follow a young man who is seeking people to help him spread his truth: Only through pure compassion and unconditional acceptance can we all survive on Earth. As he starts his journey, the young man quickly realizes that manmade social systems of separation have blinded people from the truth. Will he find the people he is searching for? Or is he simply too “out of this world” for Earth? We invite you to join him in his journey. Director, Michael Hogue ’20. Free but tickets required: please visit bit.ly/sankdress18. Spiritual gathering. 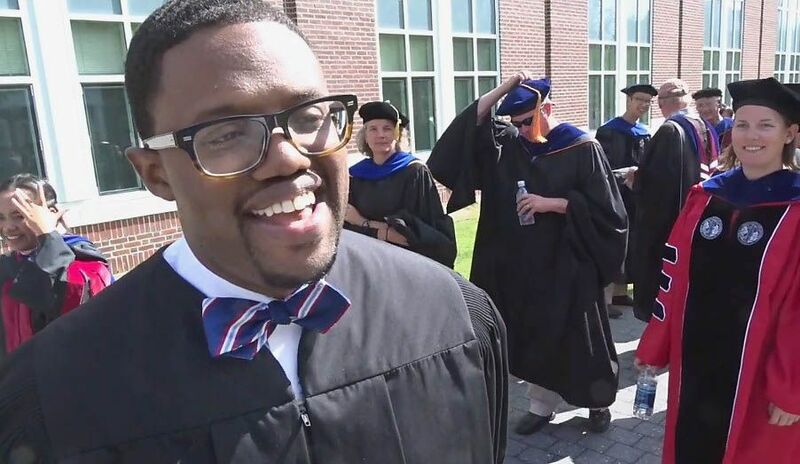 A historian of religion in America, and a visiting professor at Bates in 2015–16, Florida State University professor Jamil Drake offers the sermon The Irony of an American Celebration. Honoring spiritual dimensions of peace and justice work through music, prayer, art and word, this service includes moments for meditative reflection as well as gospel and multifaith music by Bates community members. FMI 207-786-8272. Discussion. This session provides demographic background about U.S. schools (K-16), defines key terms related to race and education, and identifies historical and current themes of schools as important sites of oppression, resistance, inequity, and empowerment. Led by Mara Tieken, Associate Professor of Education, and Hoang Tran, Lecturer in Education. Dr. Nasir is the sixth president of the Spencer Foundation, which supports education research. 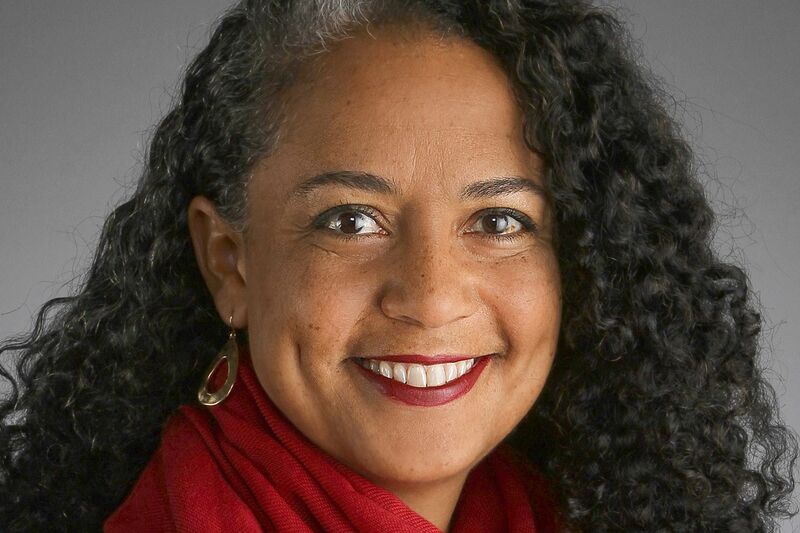 She was a faculty member at the University of California, Berkeley, from 2008 to 2017, and served as vice chancellor of equity and inclusion there beginning in November 2015. Nasir earned her doctorate in educational psychology at UCLA in 2000, and was a member of the School of Education faculty at Stanford University from 2000 to 2008. Her work focuses on issues of race, culture, learning, and identity. She is the author of Racialized Identities: Race and Achievement for African-American Youth. Nasir is a member of the National Academy of Education and a fellow of the American Educational Research Association. In 2016 she received the AERA Division G Mentoring Award. Panel. How do we protect the principle of free speech on campus while ensuring that all members of our community can engage with controversial, even repugnant, ideas from a place of safety? Panelists will discuss the ongoing work to draft a statement of principles on free speech, and will invite comments, questions, and discussion from the audience. Sponsors: the offices of the President, the Dean of the Faculty, and Student Affairs, and the Faculty Learning Community on Free Speech. Workshop. Survivors of domestic violence and sexual assault, and their advocates, focus on educational inequities created when students are victims of intimate partner violence, stalking, or sexual assault, and on what educational institutions can do to address these inequities. Presenters will address how typical institutional responses to reports of IPV or SA often impede a victim’s safe access to education, while having relatively little impact on an offender’s access; how failure to support and accommodate students experiencing IPV, stalking or sexual assault often leads to poor educational outcomes or even a withdrawal from formal education for the survivor; and how institutional responses to disclosures and lack of support can disproportionately impact the education and safety of trans students; gay, lesbian and bisexual students; students of color; and students from immigrant and/or refugee communities. Led by Hillary Hooke of Safe Voices. Workshop. The 21st Century Leaders, a student group at Lewiston High School, have worked for two years to bring Restorative Practices to LHS. Through research, partnership with district leaders and community agencies, and some big grant writing efforts, these young people are creating a Restorative Practices system that is culturally competent and youth-led. Learn about their work from the LHS students who are making it happen. Led by Lewiston High seniors Amina Aden, Fardowsa Aden, Hodan Musse, Fadimatou Katou, and Bisharo Odowa. Panel. This discussion is part of the multi-day New Scholars Symposium Fostering Diversity in Microbiology: Research, Pedagogy, and Climate in STEM. Doctoral students and postdoctoral scholars from groups underrepresented in the sciences will be visiting Bates from four universities: Michigan, UC at San Diego, Washington, and Baylor. Today’s panel focuses on panelists’ experiences, insights, and ideas about how we facilitate — or fail to facilitate — the success of underrepresented groups in STEM education, including at the postgraduate level. Sponsors: the Biology department and the offices of the Dean of the Faculty and of Equity and Diversity. Panel. Liberal arts colleges are often regarded as bastions of progressivism. This panel explores the extent to which this is or can be true, given the private college’s fundamentally elitist structure. What type of justice work is doable within an institution like Bates? For what types of work do such institutions train students, and is this training pertinent to current needs? What are the worldly outcomes of academic scholarship? Attendees will have the chance to share opinions and questions. All are welcome! Led by Samantha Garapati ’18 and other students, staff, and faculty. Workshop. The Trump era has ushered in a new public language of race that neither follows colorblindness nor returns to the transparency of race power through Jim Crow discourse. This presentation describes an emerging race discourse, called “post-colorblindness.” Less an argument about an “after” that follows the colorblind era (despite what its name suggests), post-colorblindness is more about a “new place” from which to understand or theorize about race speech: In contrast to colorblindness, post-colorblind discourse is the practice of publicly signaling race by using overtly racialized language and sometimes disparaging entire groups (e.g., Muslims or Mexicans), while maintaining that one is not participating in racist or racialized speech. This is accomplished by relativizing power relations among the races so that victimization is framed as multidirectional, flattening out historical differences. This makes it possible to assert the heterogeneity of Whites (e.g., working class, women, etc.) as legitimate victims of race on par with people of color. By using multicultural or diversity arguments, white identity politics becomes a new form of public race speech. If language is a constitutive aspect of social conditions, then an understanding of post-colorblind discourse is crucial in these times. Led by Hoang Tran, Lecturer in Education, and Zeus Leonardo, Professor of Education, UC Berkeley Graduate School of Education. Workshop. In late 2016, concerned students unsuccessfully petitioned the college administration to have Bates declared a “sanctuary campus.” Since then, attacks on protective policies like Deferred Action for Childhood Arrivals and raids of sanctuary cities by Immigration and Customs Enforcement have further challenged the safety of immigrant communities in our country. We invite students, staff, and faculty to think together about how to create a welcoming culture and safe spaces on campus for immigrants and their supporters. In the classroom, for example, what would inclusive and stimulating pedagogy look like with this in mind? How do we create safe spaces in dorms, Commons, and beyond? What might be strategies to encourage a de facto sanctuary at Bates, in addition to the actions taken by the administration? We will end this session by brainstorming and planning action items to implement on campus. Sponsored by the Program in Latin American Studies and Latinos Unidos and led by Sonja Pieck. Workshop. This workshop analyzes and compares different lists of demands from the widespread Concerned Students of Color movement that began in autumn 2015. Made by students of color at a variety of colleges and universities, these lists comprise demands for institutional changes leading to better environments, support, and experiences for students of color at petitioners’ schools. This movement originated with the #Concerned Student 1950 initiative at the University of Missouri, influenced by Black Lives Matter and the events of 2014 in Ferguson. Our analysis of lists from institutions including Bates will assess what these lists reflect and have accomplished. Led by student activists at Bates. Workshop. This training helps prepare attendees for informed and ethical engagement across cultural differences. Learn how to maximize the effectiveness of your work with diverse others in our community. Led by Lisa Day and Ayman Nijim of Maine Immigrant and Refugee Services. Workshop. 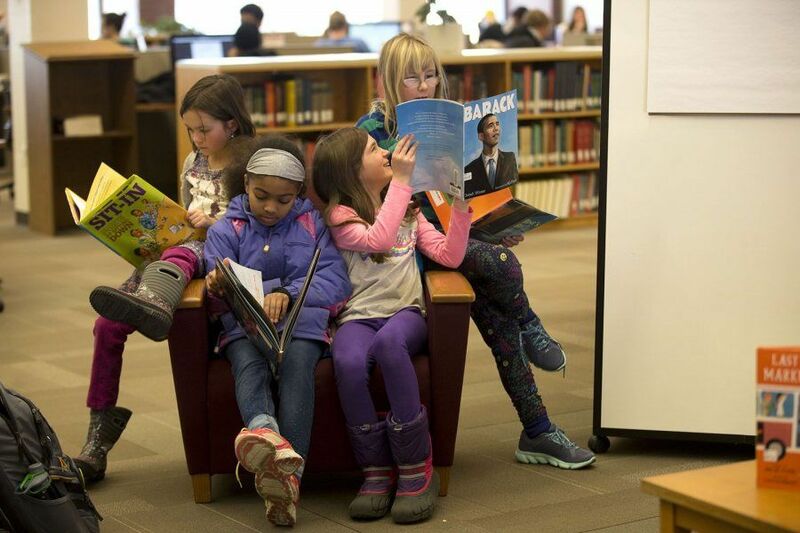 As part of this workshop, we invite caregivers and children to come to Ladd Library to read books and create art about building friendships across racial/cultural differences. We are fortunate that the library is home to the Diverse Book Collection, a Bates collection of picture books portraying people of color. The collection was founded by Krista Aronson, Associate Professor of Psychology at Bates, in collaboration with Anne Sibley O’Brien, children’s book creator, and Brenna Callahan ‘15, AmeriCorps VISTA. These books are part of Ladd Library’s permanent collection, housed on the first floor to the right of the entrance, and are available to everyone at Bates and beyond for personal use, research, and education. They can be explored online through DiverseBookFinder.org. Though the books in the Diverse Book Collection will remain in the library today, the art projects can be taken home. Discussion circle. For those who have read the June 2016 New York Times Magazine article “Choosing a School for My Daughter in a Segregated City” by Nikole Hannah-Jones. The article examines how one school became a battleground over which children benefit from a separate and unequal system. 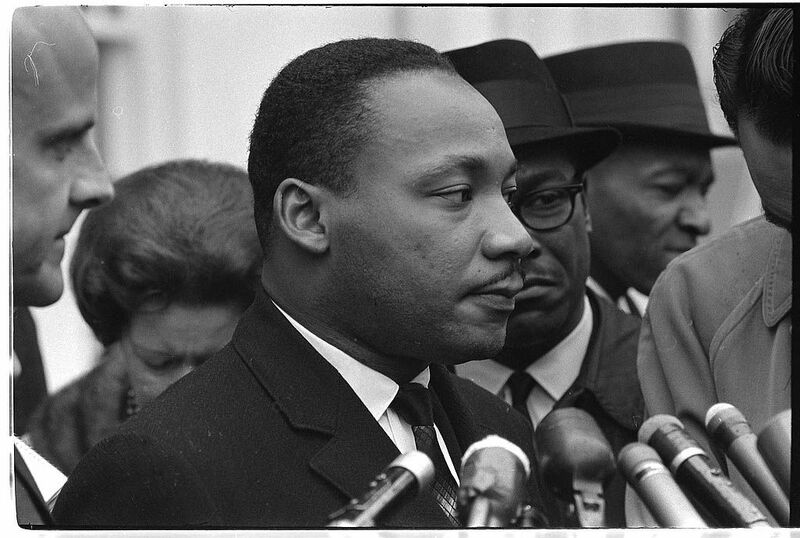 Participants are invited to bring a lunch, and requested to RSVP to the MLK Committee by Jan. 10: Please sign up here. Led by the MLK Day Planning Committee. 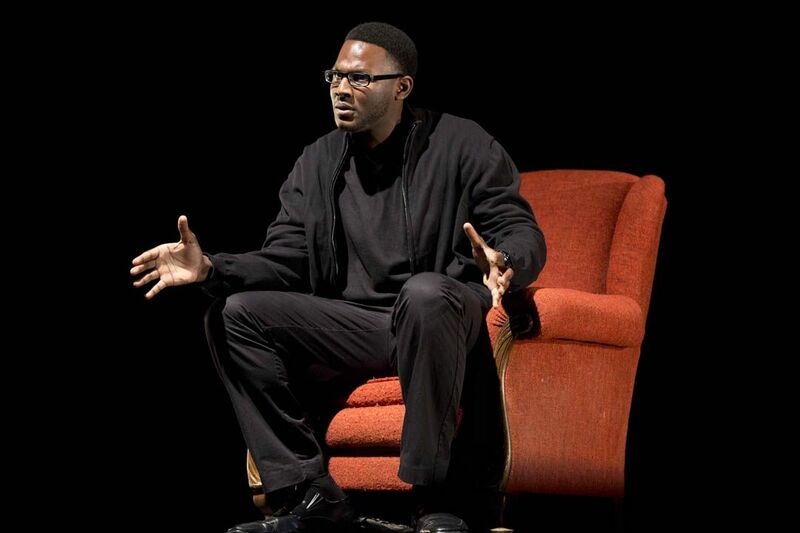 1–1:45pm | Bates Voices: Honoring Martin Luther King Jr.
Reading. Bates faculty, staff, and students honor King’s work by sharing both short original writings addressing his legacy, and excerpted texts that have inspired the readers. Panel. A discussion of athlete protests as a form of social and political education. Though it will consider contemporary sporting protests and the lessons they direct toward a willing (and unwilling) viewing audience, this panel will also relate these specific lessons to a much deeper history of athletic activism. This history has always encouraged audiences to acknowledge the social and political contexts in which sports occur and, in doing so, has sought to show connections between sporting performances and the bodies — raced, gendered, classed, and generally socially situated —that play them. Each panelist will speak for 10 minutes and then the room will be opened to questions and discussion. Led by the departments of Anthropology and Athletics, and the programs in African American Studies, American Cultural Studies, and Gender and Sexuality Studies. Workshop. At issue here are structural and institutional barriers to equality in education. 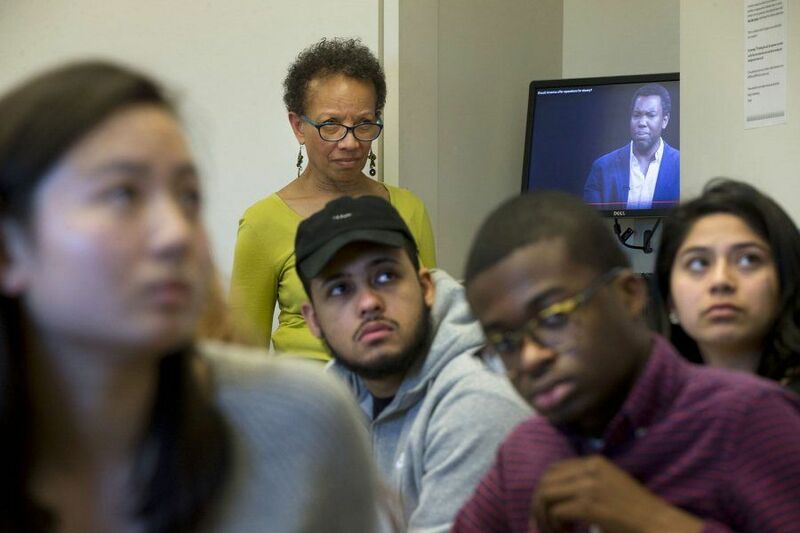 The workshop is inspired by a “Fresh Air” interview with journalist Nikole Hannah-Jones (see Reading Discussion, above), who discussed contemporary segregation in K-12 schools and argued that where parents choose to send their kids to school perpetuates segregation. She told Terry Gross that while school segregation is structural and systemic, “it’s also upheld by individual choices. As long as individual parents continue to make choices that only benefit their own children, you can support equality as a principle all you want, but we’re not going to see a change.” Active participation is encouraged and we’ll invite attendees to share their own educational journeys. Led by Anna Setzer ’19, Eleanor Ross ’19, and Katherine Cabral ’20. Panel. A presentation by community members involved with providing college counseling and application help to aspiring Lewiston students. In their professional positions, they each bring a unique perspective to the college-access conversation. Their collective work informs, and perhaps disrupts, larger discussions of equity and inclusive access to higher education that remain, at best, problematic and at worst, neglected in our educational discourse. Led by Hoang Tran, Lecturer in Education. 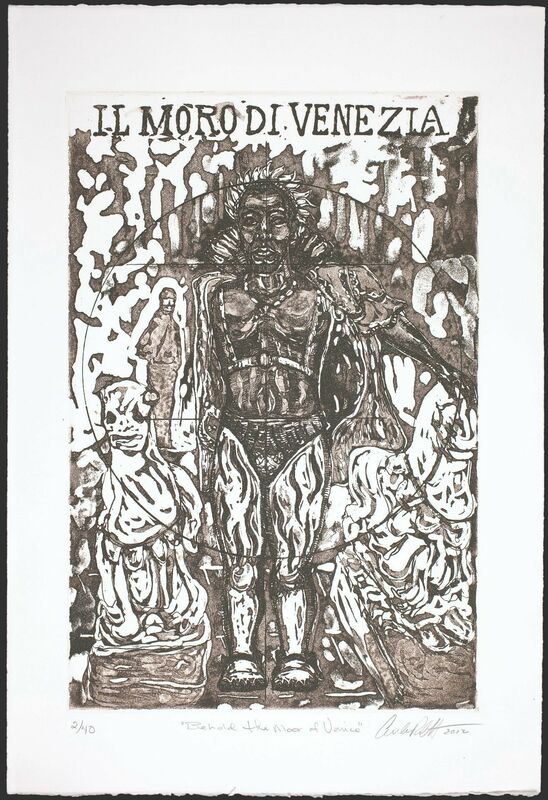 A 2014 print in the Othello Re-imagined in Sepia series by Curlee Holton, on view in the Museum of Art exhibition Literary. Gallery talk. Holton, a noted African American artist, is represented in the Bates Museum of Art exhibition Literary with “Re-Imagining Othello in Sepia.” This portfolio of 10 sepia-colored etchings explores the complexities of Shakespeare’s noble but beleaguered military hero. Nowhere are these more evident than in Othello’s bodily depiction, which revises conventional ideas of military valor tied to limited notions of physical perfection. Holton questions ways in which race, so relentlessly coded to the body, has been culturally constructed as a form of social and psychological impairment. He also reveals how historical notions of otherness and “Black Foreignness” have remained codified in culture as well as public life, at home and abroad. Holton will discuss his work, ways of re-imagining and thereby reclaiming the story of Othello, and the voices of African American artists in contemporary art. Panel. 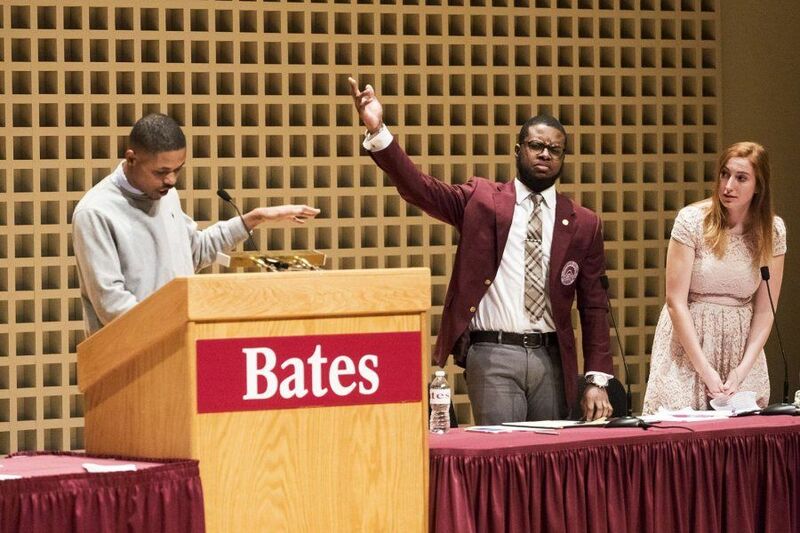 Bates students of color discuss personal journeys and struggles in educational careers. The panel will look at the role of race in relation to their areas of study and future plans. Throughout this panel, participants will share how their education pathway has shaped their personal identity and environment, and will address attendees’ questions. Workshop. For individuals incarcerated in the U.S, access to education and programs that can change personal identity is lacking. Moreover, the voices of those on the inside are often marginalized, downplayed, or never heard by educators and policymakers. Therefore, we know little about what education and empowerment means to the incarcerated. This presentation will highlight the thoughts and experiences of 12 men, incarcerated in a maximum-security prison in Georgia, who completed a 15-week inside-out class taught by today’s presenter. A group discussion follows the presentation. Led by criminologist Chad Posick. Presentation. Originating in England, the sport of squash came to the U.S. in the 1880s. Squash is now played in more than 185 countries. Traditionally, in the U.S., squash has been played at private high schools, elite colleges and universities, and private clubs — an exclusive sport played almost exclusively by wealthy white men. In the 1990s, the face of squash in the U.S. began to change with the emergence of the Urban Squash movement, a model of youth development and college access programming for low-income youth and students of color that combines squash with academic tutoring, mentorship, and community service. Portland Community Squash has created a community of adult and junior squash players representing diverse backgrounds in Portland, Maine. The Rally Portland program at PCS was inspired by the Urban Squash movement and is focused on supporting immigrant and refugee youth, first-generation college students, and low-income youth in Portland. In this presentation, middle school students from Rally Portland, along with members of the Bates squash team, will share how we use squash to form unity across lines of difference, address the opportunity gap among local youth, and achieve educational equity for students in Maine. 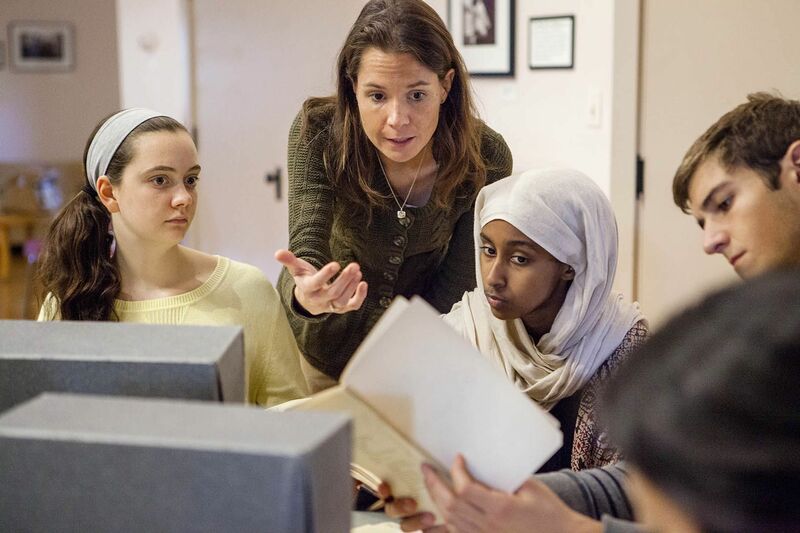 Led by Katrina Buchta ’16, director of education, Portland Community Squash. What actions students of color, allies, and professors can take to increase the success of students of color in STEM. There will be time for sharing experiences and for brainstorming actions for moving forward. Allies are encouraged to attend, listen, learn, and brainstorm what actions they can take to be supportive. Led by Alice Doughty, Visiting Assistant Professor of Geology, and Jessica Perez, Assistant Dean of Students for Student Transition & Support. Debate. This ever-popular contest between Morehouse and Bates students honors Dr. Mays, a Bates debater, longtime president of Morehouse College, pioneer of the civil rights movement, and primary mentor to Martin Luther King Jr. This year’s motion: “This house supports racially homogeneous schools.” Free, but tickets required; please visit http://bit.ly/debate18 or call 207-786-6400. Performance. Inspired by science fiction, the theme of this year’s production speaks to the journey of the black individual. We follow a young man who seeks people to help him spread his truth: only through pure compassion and unconditional acceptance can we all survive on Earth. As he starts his journey, the young man quickly realizes that manmade social systems of separation have blinded people from the truth. Will he find the people he is searching for? Or is he simply too “out of this world” for Earth? We invite you to join him in his journey. Director, Michael Hogue ’20. Free, but tickets required: Please visit bit.ly/sankofa18. Bates staff and students volunteer to share books and read with a fourth-, fifth- or sixth-grader at Martel School. Books will be given to the classrooms to keep. Transportation available departing the Harward Center for Martel School at 1:10pm and returning to campus by 2:40pm. FMI Ellen Alcorn at 207-786-8235 or ealcorn@bates.edu. Snow date: Wednesday, Jan. 17.